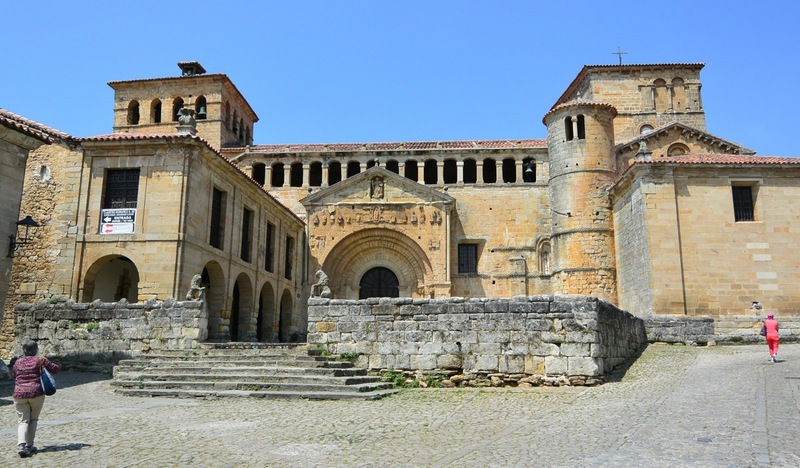 Collegiate Church of Santillana del Mar, Spain. Surely in it’s time, it was an imposing building and it still dominates the town today. Going inside the grounds, you’ll find a very pleasant cloister. 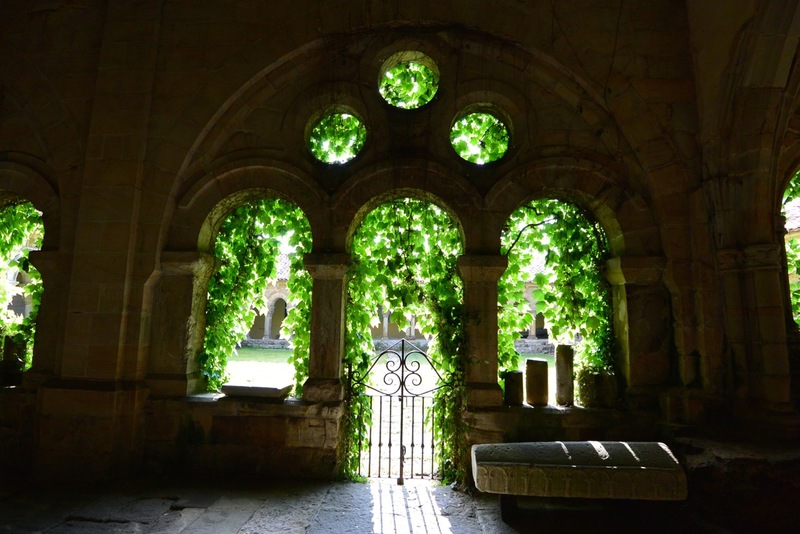 View from inside the cloister at the Collegiate Church of Santillana del Mar, Spain. The columns in this cloister are carved with various religious symbols. 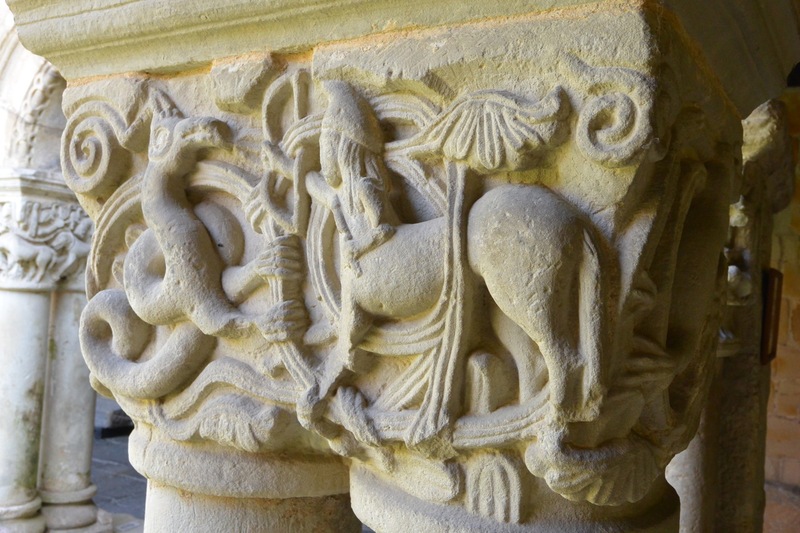 Column detail at Collegiate Church of Santillana del Mar, Spain. And many are covered with vines. 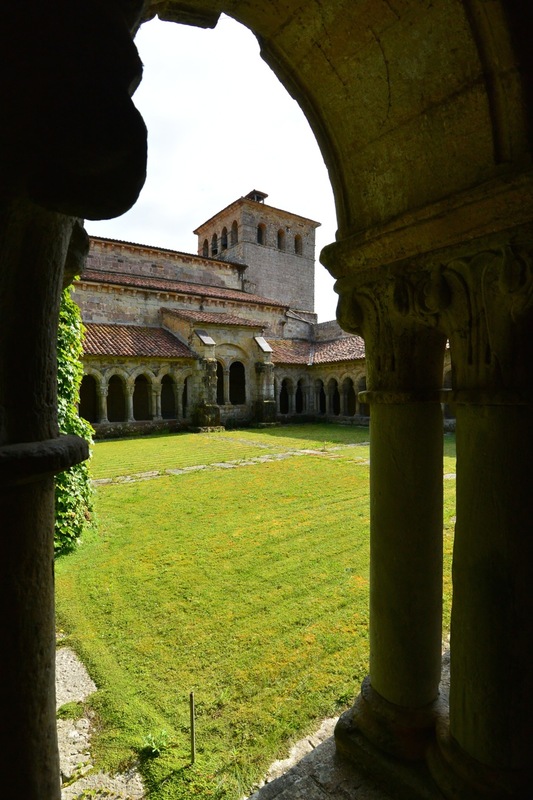 Another view in the cloister of the Collegiate Church of Santillana del Mar, Spain. Going into the church itself you find an impressive altar piece from the 15th century depicting the martyrdom of Saint Juliana. 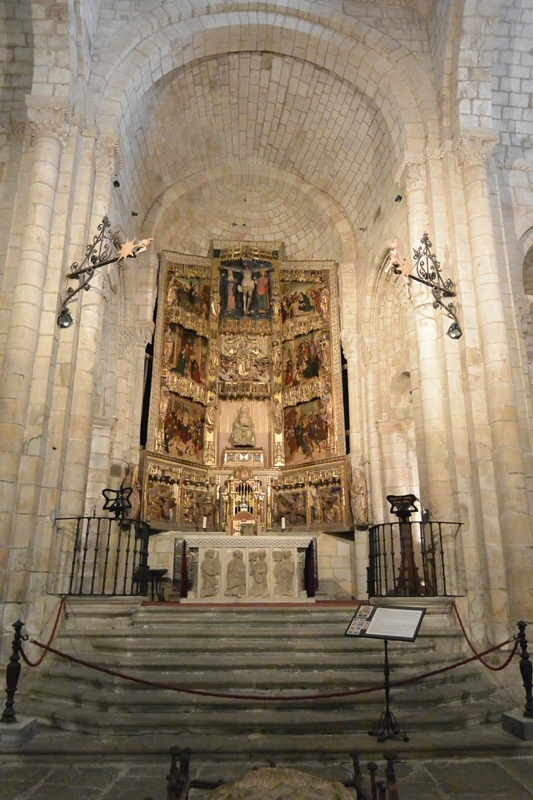 15th Century altar piece at the Collegiate Church of Santillana del Mar, Spain. 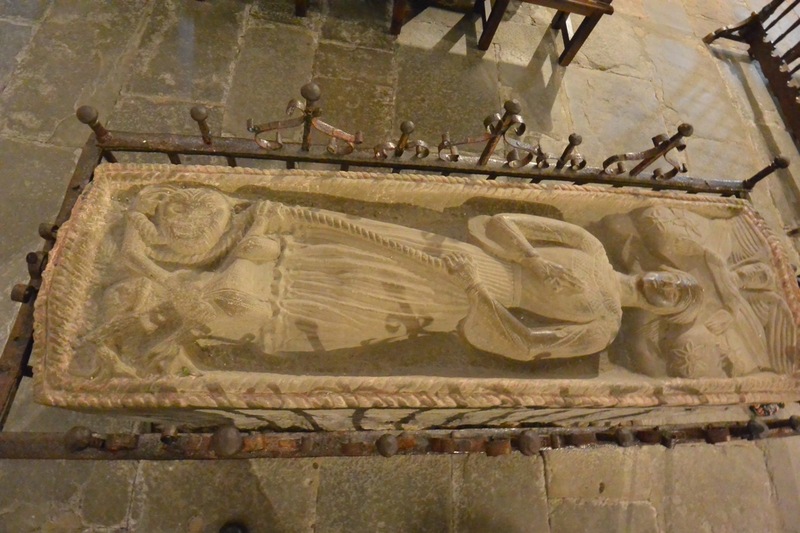 Saint Juliana at the Collegiate Church of Santillana del Mar, Spain. 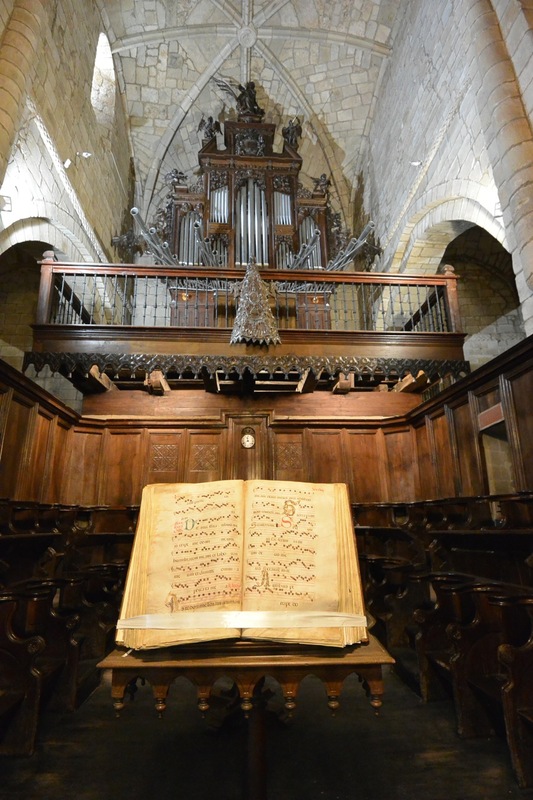 Organ pipes at the Collegiate Church of Santillana del Mar, Spain. The walk through this church is a step back in time. Within its cool environs you’ll find a sense of dignity and piety that may be lacking at times in larger, busier cathedrals. As always, enter with respect and take your time to absorb the many details that fill this holy place.